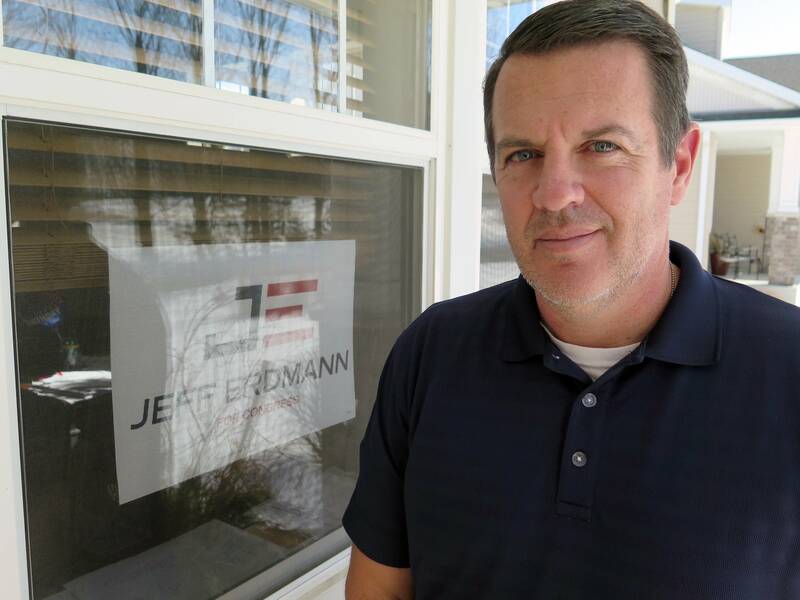 Jeff Erdmann of Eagan is a football coach at Rosemount High School who wants to add a term in Congress to his resume. He hopes to run against first term Republican U.S. Rep. Jason Lewis in Minnesota's 2nd District. But Erdmann said he faces an obstacle in gaining the DFL Party endorsement in the form of the Democratic Congressional Campaign Committee. The Washington group, known as the DCCC, is the official campaign arm of House Democrats. Last fall it threw its support to businesswoman Angie Craig, who narrowly lost to Lewis in the District in 2016. "To feel that they need to come in and put their thumb on the scale for the candidate that has all kinds of personal wealth, you know that's frustrating that they're trying to taint the system," Erdmann said. DCCC officials made it clear money drove their choice to back Craig, he added. "We didn't talk anything about my background, my success as a teacher, as a coach any of the values that I hold. All they wanted to talk about was where we thought we could get money-wise." Officials with the DCCC did not respond to numerous interview requests. 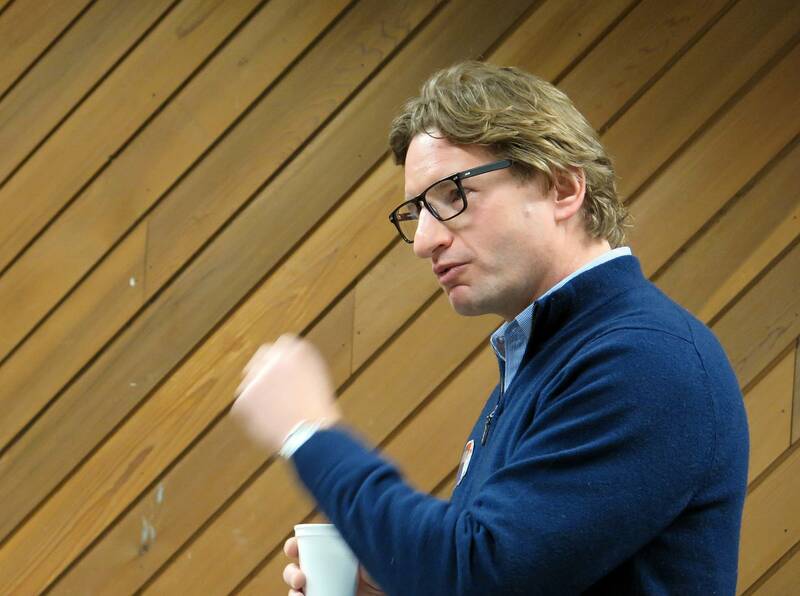 In Minnesota's 3rd District in the western suburbs, another wealthy Democrat, Dean Phillips, also won early DCCC backing. Democrat Adam Jennings is also in the race and hoping for the chance to run against Republican U.S. Rep. Erik Paulsen. Jennings said the DCCC wouldn't even speak with him. "There is kind of an establishment big-money component to all of this, and the more I think about it the more motivated I get to run." Jennings said the DCCC's choice to weigh in early has hurt his ability to raise money. He said potential supporters have denied him campaign contributions because national Democrats have decided to back Phillips. The DCCC has not openly campaigned against the Minnesota Democrats it did not choose to back. That has not been the case in Texas where the DCCC attacked Democrat Laura Moser by calling her a "Washington insider." But its backfired. Earlier this month Moser won one of the top two spots in a seven-candidate Democratic primary. Next month a runoff election will determine whether she or the other top Democratic vote-getter will run against the Republican incumbent in the November election. 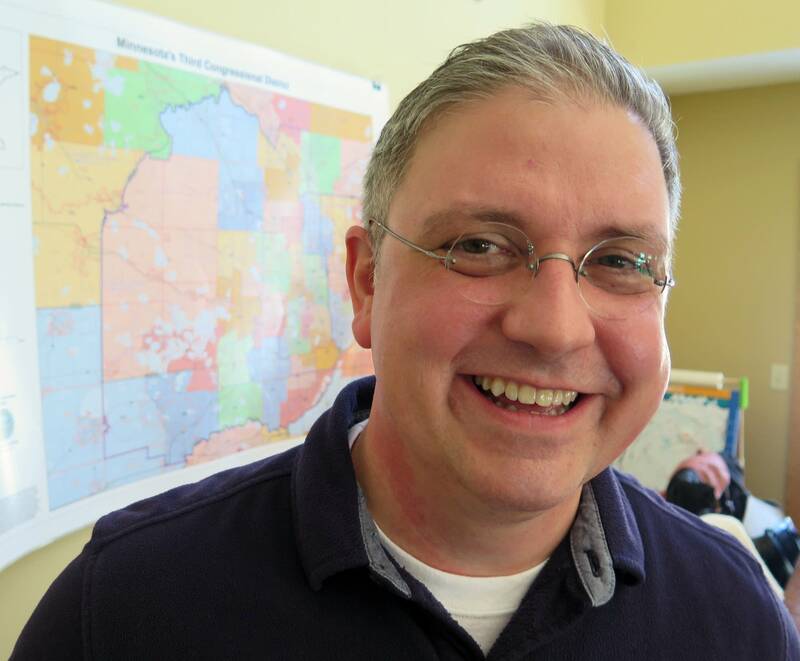 Minnesota DFL Party Chair Ken Martin said the DCCC overstepped its bounds in Texas. But Martin downplays its actions in Minnesota. "Ultimately Minnesotans don't respond very well to being told what to do by folks in Washington, D.C."
The DCCC campaign activity comes after a presidential election where some Democrats accused the Democratic National Committee of favoring Hillary Clinton over Bernie Sanders. Erdmann argues Washington desperately needs people like him in Congress as income inequality and corporate power are on the rise. "This is the perfect time to have regular working-class people get elected into office," he said, "so that we can have a seat at the table and stand up for our interests and our values."